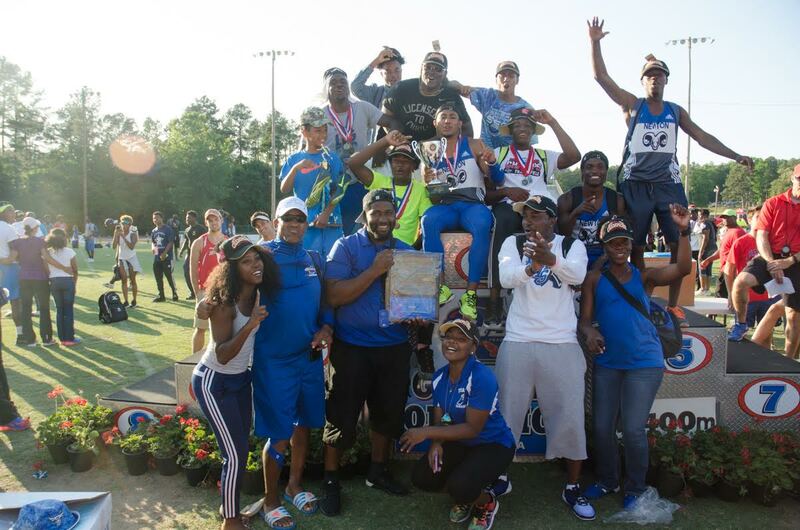 Newton trailed South Gwinnett 45-40 after 15 events and had just the 4×400 meter relay left to win the state title, needing a third-place finish or better. The Rams’ team of Elija Godwin, Artice Hobbs, Jeremiah Holloman and Alex Sands got it done with a second-place finish of 3:17.85 to add eight points (48-40) and crown Newton this year’s Class 6A Boys Track & Field champions. Newton had just 17 points entering Day 3 and were eighth in the standings. They also had to overcome a shaky 4×100 relay to open the day, in which Godwin, Hobbs, Sands and Riordran Johnson legged a team that did not finish and earned zero points. Godwin gave the Rams a spark by posting a 47.40 first-place finish in the 400 meter dash for 10 points. In Class AAAAAA, Southwest DeKalb scored 58 points to edge second-place Cedar Shoals for the title. Brothers Terryon and Terry Conwell solidified the victory with a one-two finish in the 200 meter dash that rewarded the Panthers 18 points with two events left. Eastside burned the field in Class AAAA with 71 points for the program’s first state title. Jovan Brown clocked a 37.62 in the 300 meter hurdles for 10 of the points and Eric Stokes took the 200 meter gold with a 21.58 and the 100 meter gold with a 10.48. In Class AAA, Cedar Grove defended its state title with a 74-point weekend. Blessed Trinity posted a distant 39 points for second-place. Cedar Grove took first in both relays and Jessie Reverio clocked a 38.65 for first in the 300 meter hurdles. Wesleyan edged second-place Vidalia 69-61 in Class AA for the program’s first state title. The Wolves entered Day 2 with just 21 points and a thrilling 3:24.12 to 3:24.19 win over Holy Innocents’ for first-place in the 4×400 meter relay clinched the victory. After winning seven straight titles from 1996-2002, Landmark Christian returned to the podium for the first time since 2008 with an 88-points outburst in Class A-Private. Commerce dominated the Class A-Public competition for the program’s second state title after tallying 99 points in the 16 events.